Alexander Valterovich Litvinenko (Russian: 30 August 1962 (4 December 1962 by father's account), 23 November 2006) was an officer who served in the Soviet KGB and its Russian successor, the Federal Security Service (FSB). In November 1998, Litvinenko and several other FSB officers publicly accused their superiors of ordering the assassination of Russian tycoon and oligarch Boris Berezovsky. Litvinenko was arrested the following March on charges of exceeding the authority of his position. He was acquitted in November 1999 but re-arrested before the charges were again dismissed in 2000. He fled with his family to London and was granted asylum in the United Kingdom, where he became a journalist and writer and worked as a consultant for the British intelligence services MI6 and MI5. During his time in London Litvinenko wrote two books, Blowing Up Russia: Terror from Within and Lubyanka Criminal Group, wherein he accused Russian secret services of staging the Russian apartment bombings and other terrorism acts in an effort to bring Vladimir Putin to power. 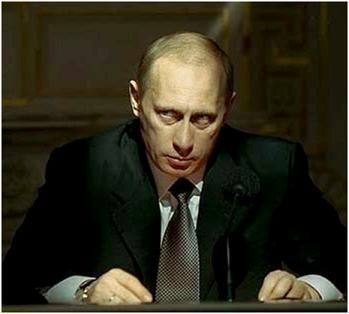 He also accused Putin of ordering the murder of Russian journalist Anna Politkovskaya. On 1 November 2006 Litvinenko suddenly fell ill and was hospitalised in what was established as a case of poisoning by radioactive polonium-210 which resulted in his death on 23 November. Litvinenko accused the Main Intelligence Directorate of the General-Staff of the Russian armed forces had organised the 1999 Armenian parliament shooting that killed Prime Minister of Armenia Vazgen Sargsyan and seven members of parliament, ostensibly to derail the peace process which would have resolved the Nagorno-Karabakh conflict, but he offered no evidence to support the accusation. Litvinenko claimed that two of the Chechen terrorists involved in the 2002 Moscow theatre siege — whom he named as "Abdul the Bloody" and "Abu Bakar" — were working for the FSB, and that the agency manipulated the rebels into staging the attack.Litvinenko said: "[w]hen they tried to find [Abdul the Bloody and Abu Bakar] among the dead terrorists, they weren't there. The FSB got its agents out. So the FSB agents among Chechens organized the whole thing on FSB orders, and those agents were released." 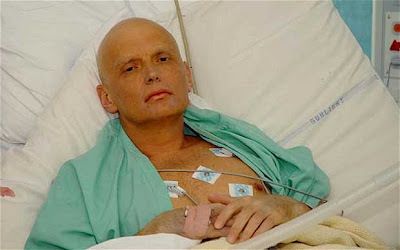 Alexander Litvinenko suggested in September 2004 that the Russian secret services must have been aware of the plot beforehand, and therefore that they must have themselves organized the attack as a false flag operation. 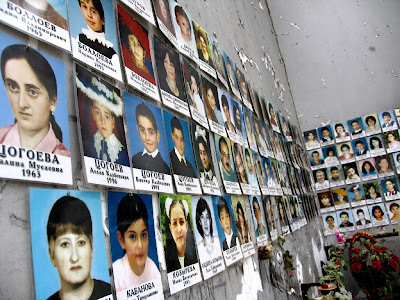 The Beslan school hostage crisis (also referred to as the Beslan school siege or Beslan massacre of early September 2004 lasted three days and involved the capture of over 1,100 people as hostages (including 777 children), ending with the death of over 380 people. Litvinenko stated that "all the bloodiest terrorists of the world" were connected to FSB-KGB, including Carlos "The Jackal" Ramírez, Yassir Arafat, Saddam Hussein, Abdullah Öcalan, Wadie Haddad of the Popular Front for the Liberation of Palestine, George Hawi who led the Communist Party of Lebanon, Ezekias Papaioannou from Cyprus, Sean Garland from Ireland and many others." He says that all of them were trained, funded, and provided with weapons, explosives and counterfeit documents in order to carry out terrorist attacks worldwide and that each act of terrorism made by these people was carried out according to the task and under the rigid control of the KGB of the USSR. In a July 2005 interview with the Polish newspaper Rzeczpospolita, Litvinenko alleged that Ayman al-Zawahiri, a prominent leader of al-Qaeda, was trained for half of a year by the FSB in Dagestan in 1997 and called him "an old agent of the FSB". Two weeks before his poisoning, Alexander Litvinenko accused Vladimir Putin of ordering the assassination of Russian journalist Anna Politkovskaya and stated that a former presidential candidate Irina Hakamada warned Politkovskaya about threats to her life coming from the Russian president. 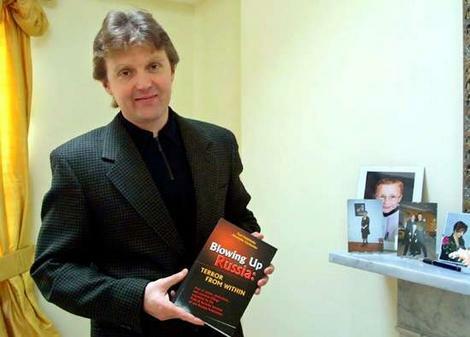 In his book Gang from Lubyanka, Litvinenko alleged that Vladimir Putin during his time at the FSB was personally involved in protecting the drug trafficking from Afghanistan organized by Abdul Rashid Dostum.In December 2003 Russian authorities confiscated over 4000 copies of the book.